Our archers are so numerous, said the Persian envoy, "that the flight of their arrows darkens the sun." "So much the better, replied Leonidas, "for we shall fight them in the shade." 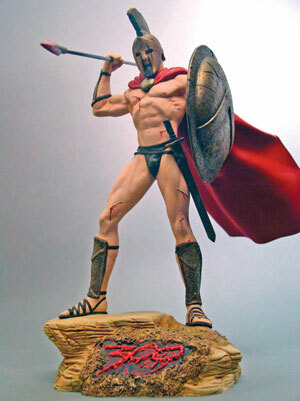 Played by Gerard Butler, King Leonidas is captured here in perfect detail by master sculptor William Paquet, all under the watchful eye of 300 creator Frank Miller. Standing 10" tall on a sculpted base!